Afraid so: the machines are now able to beat us at this game too. CC-licensed photo by Chris on Flickr. Ahead of No. 1,000, send in your three favourite links – leave a comment, email or DM me. Popular so far: Why drowning doesn’t look like drowning (May 2018); why I hope we don’t find extraterrestrial life (Aug 2016); the heroes of the cave dive rescue (Jan 2019). What do you remember best? A selection of 9 links for you. Borderless. I’m @charlesarthur on Twitter. Observations and links welcome. We’re now taking steps that wouldn’t have been possible even just a few years ago – for example, this year we plan to spend more on safety and security than our whole revenue at the time of our IPO, and the artificial intelligence required to help manage content at scale didn’t exist until recently. But as people use these networks to shape society, it’s critical we continue making progress on these questions. At the same time, there is another force at play as well. As networks of people replace traditional hierarchies and reshape many institutions in our society – from government to business to media to communities and more – there is a tendency of some people to lament this change, to overly emphasize the negative, and in some cases to go so far as saying the shift to empowering people in the ways the internet and these networks do is mostly harmful to society and democracy. I have a question: are those people going to be unaccountable Russians working in low-rise buildings and pretending to be African-Americans based in Chicago protesting against police brutality in order to stir up division? Just so we’re clear on meaning, you understand. VPNs are supposed to help you protect your data. But the Facebook flap shows that there’s one party that has full access to everything you’re doing: the VPN provider itself. And it’s a concern with several Chinese-owned VPNs, which reportedly send data back to China. Recently, Top10VPN – a review site for VPN services – looked into the world’s 30 most downloaded free VPN apps. Among them, VPN Master, Turbo VPN, and Snap VPN claim the right to gather private information like IP addresses, time zones, and IMEIs (the unique number that identifies your phone). They also state that they may route personal data to China. Another Chinese-owned app, VPN 360, notes that they may log and share an individual’s usage data with government authorities and law enforcement when required by law. Unlike Facebook’s semi-secret “market research” app, these VPN services are readily available for everyone to download from Google Play and the iOS App Store. And it means that while Facebook has said it will shut down its controversial market research app, other questionable VPN services are still being downloaded every day, with little transparency on where the data they collect will go. Why, it’s as if VPNs aren’t a panacea to put you on the golden path to privacy at all, but instead might just mine your data. I guess you could ask the malicious hackers who have been busted via their VPN activity what they think for a second opinion. Before declaring the winner of the bet on episode #891, Planet Money published a poll on their website in an effort to gauge whether or not BTC (or any other major altcoin) had really been able to break into the financial mainstream. “Have you purchased anything using Bitcoin as your payment within the past month?” In response, only a meager 3% of the respondents replied in the affirmative. The transcript of the podcast makes for fun reading. That 3% is definitely a ceiling; in quite a few of the cases, people saying yes were using it to but other cryptocoins, and in some cases they claimed to have used it in places which don’t exchange bitcoin. Salmon’s prediction – that bitcoin’s deflationary tendencies (forcing its price up) would kill its use as currency – turned out to be correct. Really it comes down to our tendency to dither when we don’t know. Or else be too certain when we don’t know. Unfortunately, machines can copy that too. The shapes of the plots can tells us more about the nature of attention to the topic. The duration of news events is dependent on the speed at which an event develops, and whether or not its outcome was expected. The North Korea summit, for example, was in the news in the lead up to the event, and continued to be reported on afterwards, producing a symmetrical interest plot. An event like July’s blood moon, by contrast, was rarely mentioned after the fact, resulting in a leftward skew in the plot. An unexpected event, on the other hand, like the death of Anthony Bourdain, can yield a rightward skew in the plot as the public continues to process unanticipated information. Lastly, some events can even produce multiple peaks, like the government shutdown of January 2018 that was followed by the threat of a second shutdown in early February, resulting in a bimodal search interest plot. Like all inventors, Khan was paranoid about knockoffs. Even so, he was caught by surprise when Huawei, a potential customer, began to behave suspiciously after receiving the meticulously packed sample [of a screen coated on one side with artificial diamond]. Khan was more surprised when the US Federal Bureau of Investigation drafted him and Akhan’s chief operations officer, Carl Shurboff, as participants in its investigation of Huawei. The FBI asked them to travel to Las Vegas and conduct a meeting with Huawei representatives at last month’s Consumer Electronics Show. Shurboff was outfitted with surveillance devices and recorded the conversation while a Bloomberg Businessweek reporter watched from safe distance. Shurboff says he knew there was no way the sample could have been damaged in shipping—all the pieces would still be there in the case. I don’t really want a flying car, but I do want to be able to shed pennies (and fractions of pennies) as I browse news or read fiction online. I want to easily support artists and writers without having to set up an account, create a password, fork over my credit card details, and commit to an ongoing relationship that involves receiving a new piece of spammish email at least once a week. Zeynep is usually reliably wonderful, but this is one area where she’s got a blindness to the subtle combination of economics and internet behaviour that would result. I used to have a running bet with Jakob Nielsen: he said we would soon have micropayments, I said we wouldn’t. We gave up after I’d been correct four, or possibly five, years in a row; that was about 2003. I wrote about why this won’t ever happen a week short of ten years ago. Not a single thing about the dynamic has changed since, despite the invention of bitcoin. Micropayments have too many perverse incentives to ever happen. 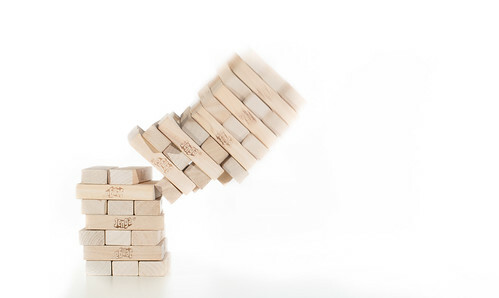 Now machines have a new game that will allow them to humiliate humans: Jenga, the popular game —— and source of melodramatic 1980s commercials —— in which players strategically remove pieces from an increasingly unstable tower of 54 blocks, placing each one on top until the entire structure collapses. These things are really ruining party games. As the chart shows, no single factor was responsible for more than around a third of the total reduction in the UK’s CO2. Overall, emissions in 2017 were 51% lower than they would have been without these changes. The surprising data point: UK CO2 emissions peaked in 1973, because we were burning so much coal. I’m wondering if you really don’t understand the issue, or are just pretending not to. 2- Why is it a requirement ? Because anything between your device and a server can see at least that there’s traffic between your and a server, and most probably most of what that traffic is (type, content…); then the server can see where/whom that traffic comes from. A VPN obfuscates all that info to anyone between you and the VPN, and makes the traffic between the VPN and the server mostly anonymous. 3- “But there are bad VPNs !” is a straw man logical fallacy. Yes there are. Doesn’t mean they all are bad, but does mean it’s a powerful tool and choosing one needs research. Free VPNs are obviously always quite bad, since the only way they can make money is by selling your info instead of protecting it. They’re probably better than a man-in-the-middle siphoning your credentials and services geo-locking you out, but much worse than for-pay VPNs with solid security and confidentiality. Of course, Apple won’t say it’s important, because reuters.com/article/us-china-apple-vpn/apple-says-it-is-removing-vpn-services-from-china-app-store-idUSKBN1AE0BQ . Doesn’t mean we shouldn’t think independently. A strawman is the creation of a false objection. There are bad VPNs; the fact you say one needs to research before choosing shows that it’s true. I think it’s questionable how essential VPNs are now, given that the overwhelming majority of sites use https. That Lifehacker article is from 2012, well before https became so commonly used. The PC Mag article notes that if you’re using your mobile connection, it’s pretty much impossible to track what’s happening. Your principal risk is being on public Wifi that you’re joining for the first time and connecting to a non-https site. That, these days, isn’t common. Now, your Apple suggestion – that’s a strawman. You’re suggesting that Apple isn’t saying VPNs are important because it has removed them in the China App Store because of a law change there. However you haven’t shown that Apple says VPNs are unimportant; in fact, it provides a setting which lets you connect to them. Your desire to portray Apple as evil and awful really is a bizarre one, and I suggest that you try putting “Samsung” or “Xiaomi” into sentences where you find yourself writing “Apple”. How many non-China-approved VPNs does Xiaomi sell on its Mi App Store? Does Samsung run its App Store in China, and are there non-China-approved VPNs on sale there? If the answer to both is zero, does that make them heroes, zeroes, or just businesses run by people trying to strike a moral balance? – It’s exactly a straw man. You’re trying to discredit all VPNs because some (most ^^) VPNs are bad, which nobody is arguing about. It is a false objection. – I’m not trying to portray Apple as evil and awful. Nor am I trying to portray Xiaomi Samsung Google as good. My point is: they’re all the same, Apple ain’t special. Also, again, whether VPNs are on sale in Android appstores isn’t nearly as vital as what’s on Apple’s appstore, and this is a beautifully archetypical situation: Android allows sideloading apps, so even governmental appstore-level censorship can *always* be sidestepped. Can you install and run a VPN on Xiaomis, Samsungs, any Androids in China ? Yes. You’re not dependent on an appstore to do that. … as well as any other app that’s banned. You probably don’t want to because it’s illegal to run them and sources may be iffy, but you can, if your life depends on it and you get hold of an anonymous device. Everyone’s kowtowing to ATT and up for a quick buck. Most don’t claim courage though, and are justly regarded as average morally-bankrupt-ish (*) corps. (*) I’d say amoral, but that’s when you don’t know right from wrong. I think they do know the difference, but don’t care all that much – as long as the publicity doesn’t make it a business issue. Again, that’s how things are supposed to work: profit motive etc… What’s not supposed to happen is customers/citizens not distancing from corps’ views/PR. That issue is very intense in the Apple world. I guess it’s just normal amorality if Android OEMs do it (or does Google have to get involved somehow?) but Really Bad Amorality if Apple is involved in a marketing scheme by a big operator. Consider the alternative. Android OEMs will go along with ATT, because they’ll do anything (a) to stay in ATT’s favour (it’s the biggest phone company in the US) and (b) they might get some marketing spend for it. That means that Android phones will show “5G” in the bar. But iPhones wouldn’t. What’s the normal person going to conclude? That the iPhone isn’t up-to-date. “This Samsung phone says it’s 5G!” Is Apple going to invest in advertising or marketing to say “actually, nobody’s got 5G”? No, because that would harm its relationship with ATT. Who gets hurt if ATT claims it has 5G? Nobody, unless some people actually switch from other operators to ATT based on the claim, in which case the other operators can begin adverts about how nobody’s got 5G, and perhaps sue ATT for false representation. To repeat: this ATT claim might actually please some of its customers (“I’m on 5G!”) which makes it no less crappy, but to suggest that it’s Apple’s place to tell ATT how it can describe its network comes across as extremely naive about how the world really works. The Verge writer didn’t try to contact Apple or ATT, so we don’t know where this lies. Gives people plenty of room to spin up Evil Corporation Theories, though. – calling 4G “5G E” is evil (that’s what the E is for ! ), in the lightest sense of the term. Nobody will die, but it’s a lie for profit. – Again, not saying Apple is particularly evil, just that it is like all others. – Apple managed to get updates and crapware off carriers’ grip, but couldn’t get an icon if they set their mind to it ? Seriously ? I understand it’s a detail and a fight not worth fighting for Apple, especially if it results in Androids showing “5G” while iPhones show “4G”. But then don’t claim courage, the others don’t. France has an interesting legal concept of “abuse of rights”, which blew my mind when I learned about it back in business school. The state, generally the tax authorities, can arbitrarily decide that although you followed the letter of the law, you still cheated its spirit, so whatever your shenanigans get annulled. Thankfully a rare, last-resort maneuver not nearly as common as the US’ civil forfeiture. I’m still wondering if moving the tax base to added value + profit and differentiating corps and individuals wasn’t a massive compound mistake, and if the only stable way forward isn’t tax on income (not added value, not profit) + much lower tax on assets, for both corps and individuals. At my small personal scale I spent a few days researching how to move assets around between family members following my dad’s death. It’s very impactful in terms of taxes, utterly irrelevant in terms of economic value, complex, expensive, and with that “abuse of right” a bit risky… Make-work ?